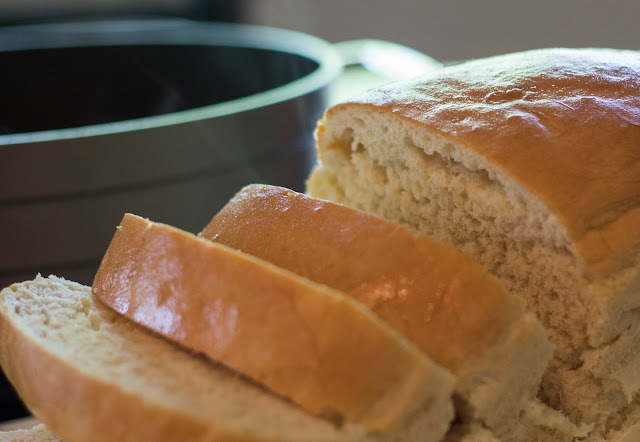 There's nothing quite like homemade bread, and now you can make it from start to finish in just one hour. 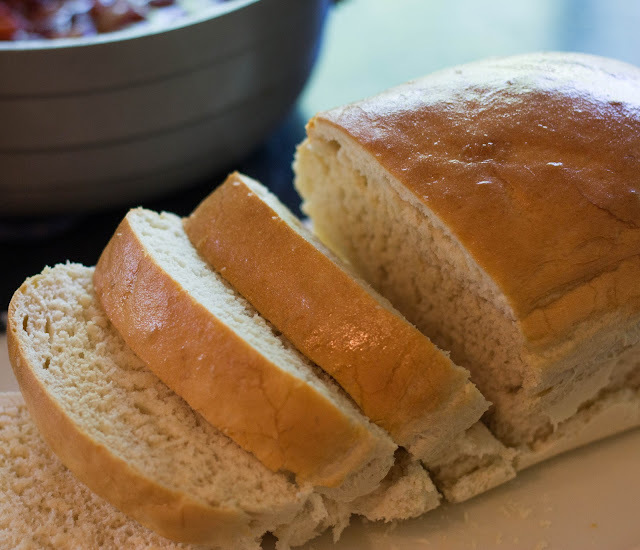 This recipe is incredibly easy and will leave you begging for more, even though it makes 4 loaves! I got this recipe from my neighbor and I've been so pleased with the results I just had to share. You need to get the exact ingredients if you want it to turn out just right every time. 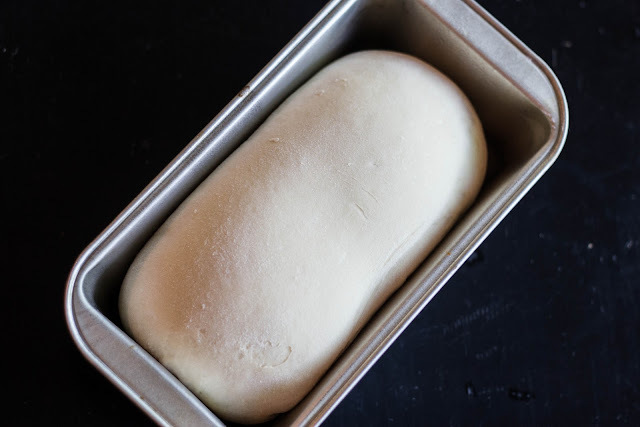 You can also use this dough to make pizza, bread sticks, cinnamon rolls, scones, rolls, or tortillas. Mix flour, sugar, and salt in a dough mixer. In a separate bowl, mix the water and yeast, and then squeeze in the lecithin. Don't measure the lecithin with a measuring spoon; it's too sticky. Pour the liquid mixture into the dough mixer and mix for 1 minute. Check the consistancy. If the dough is too dry, add more water. If it's too moist, add more flour. Mix for 5 minutes. (Do not add water or flour to the dough after it has finished mixing.) Spray counter and pans with Pam. Shape loaves and cover with a dish towel. Let raise 25 minutes. Bake at 350 for 25 minutes. This recipe makes 4 loaves of bread. Too much bread you say? Well I'll let you in on a little secret. Sometimes I freeze a couple loaves. I just shape them and stick them in a freezer bag. 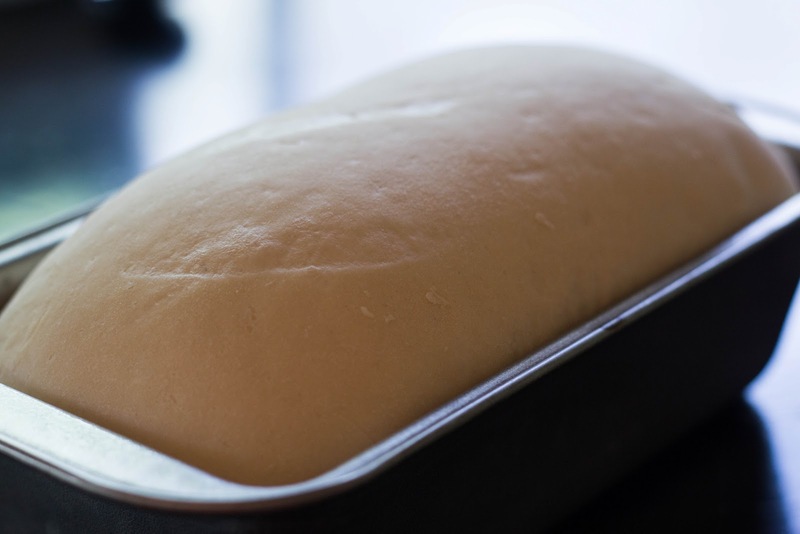 Each loaf you freeze needs it's own bag since it still rises a little bit in the freezer. I don't know exactly how long they can stay in the freezer, but I've gone a couple weeks before popping one out to bake. When you are ready for one, just pull it out of the freezer and let it sit on the counter for a few hours. Once you notice it rising, pull it out of the freezer bag, into a greased pan, and cover with a dish towel. Let it rise until it comes to the top of the pan and then bake. Easy as that! I'm betting you can also bake it and then freeze it for later. More often than not, I just bake all four loaves and then give them to people I'm thinking about. It's sure to bring a smile on anyones face, unless you are my gluten intolerant brother... Enjoy! I have never heard of Liquid Lecithin. Can you find it at any store? Hi Frances, I just updated to blog post with the information about the yeast and the lecithin. Hope that helps! Have a wonderful day.